When my friend Gemma from Jurassic Panda told me that there was a Moomins exhibition on in Wednesbury my initial thoughts were (a) how did I not know that this was on and (b) Wednesbury has an exhibition space? Despite Wednesbury only being approximately 20 minutes away on the Metro from Birmingham City Centre until this point I’d only visited Ikea on the outskirts of the town. Prior to my visit I went onto Wednesbury Museum & Art Gallery’s website to see what to expect from the exhibition and also to look at what else was on during our visit. 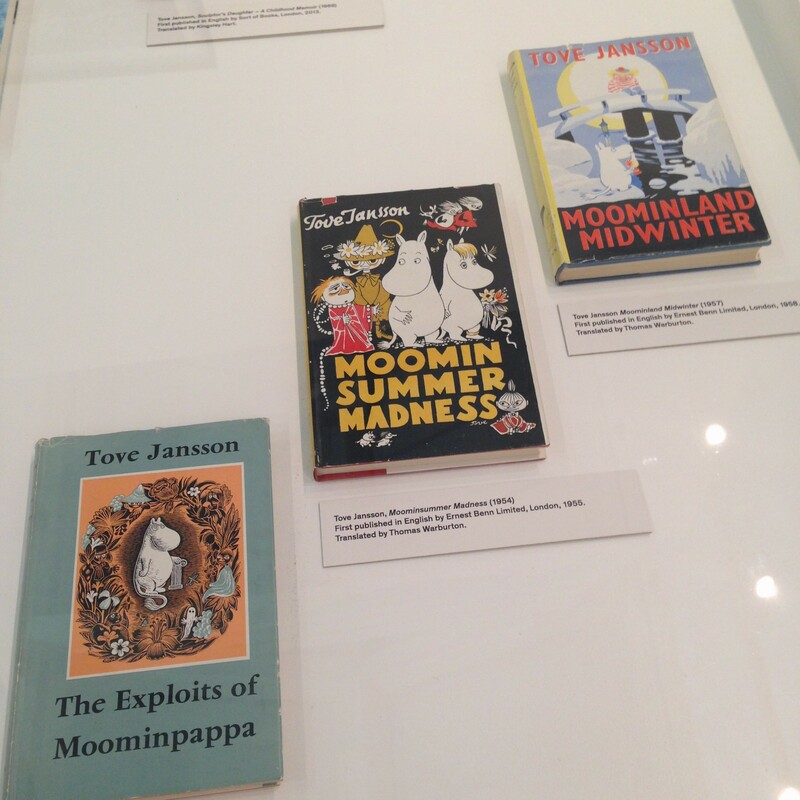 Rather than an exhibition solely dedicated to the Moomins it turned out that it was in celebration of the centenary of Tove Jansson’s birth. The website itself seemed rather basic and given that it stated that the nearest café was based in Morrisons rather than the Museum & Art Gallery itself I did think perhaps it was smaller than its counterpart in Birmingham. When we arrived at the Museum & Art Gallery there was an A Frame board outside covered in a collage of Moomin pictures and emblazoned with the words Moomin Exhibition. I did think that this was possibly a bit of false advertising as the exhibition which had previously been shown at ICA was supposed to be about the creator of the Moomins rather than the creatures themselves. Also on the board it said the exhibition was on 2-5pm and as we had arrived prior to that we thought we’d explore what else was on display before the room with the exhibition that we’d come to see was opened up. We did think it was slightly odd that it wasn’t opened all day. 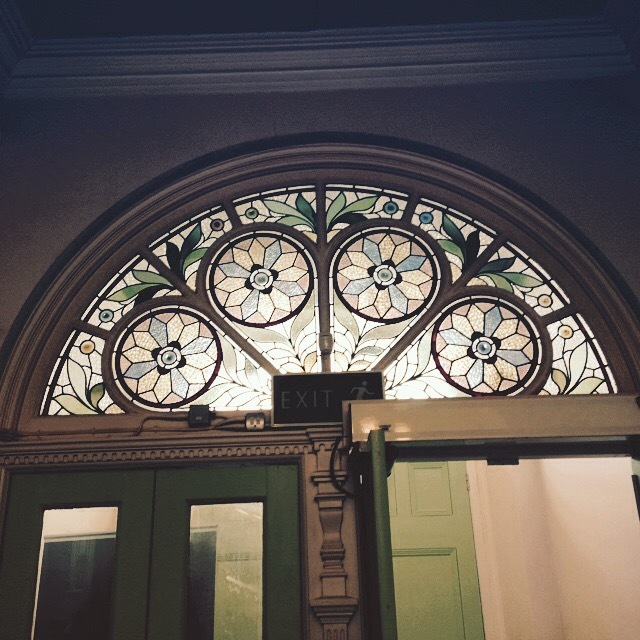 Before we entered the building I took the opportunity to take in the aesthetic qualities of the frontage. My eyes were drawn to the faces that adorned the façade. I later found out from the Wikipedia page that they were of the heads of Sir Christopher Wren to represent Architecture, Sir Joshua Reynolds for Art, John Flaxman for Sculpture, and Sir Isaac Newton for Science. There didn’t appear to be anyone in the reception area but we just assumed that the staff were elsewhere on the ground floor as due to the size of the place I thought there wouldn’t be very many staff or volunteers. The first room we entered was a homage to toys over the years. We compared the toys we had in our childhoods to what was in the display cases. I was surprised that there wasn’t a Care Bear or a Teddy Ruxpin in the 1980s display as they were amongst the most popular toys of that era. Also situated on the ground floor was a room dedicated entirely to the works of the Ruskin pottery studio. Whilst some of the designs were not to my taste you could appreciate the body of work as a whole. The accompanying text and leaflet were a great source of information on the background and history of Ruskin pottery. As we ascended the staircase we took in all the period features such as the stained glass above the door of which you entered and exited and the mosaic tiled floor. The first section we came across on as we reached the top of the stairs was an annex which featured local history and objects that had been made or found in the area. I do find it interesting to look at photographs from the past and compare with how it looks today. As Gemma is a local lass she was able to say what buildings remained and what had changed in the area. The photos appeared to show that Wednesbury was once a prosperous town however in recent times the area has been on the decline. We then went into a room which contained a bronze bust of Betty Boothroyd who I found out from Gemma came from the area. There were a number of paintings which had been donated by the Richards family and a World War One display case. In the centre of the room were four chairs in a circle so people could sit and gaze at the artwork. I don’t know if I’ve been spoiled by other galleries but they appeared to be chairs borrowed from elsewhere in the building rather than a sympathetic and permanent seating area. We were at this point surprised that even though it was a weekday lunchtime no one else was looking at the exhibitions but felt it was a refreshing change being able to take things in at our own pace. 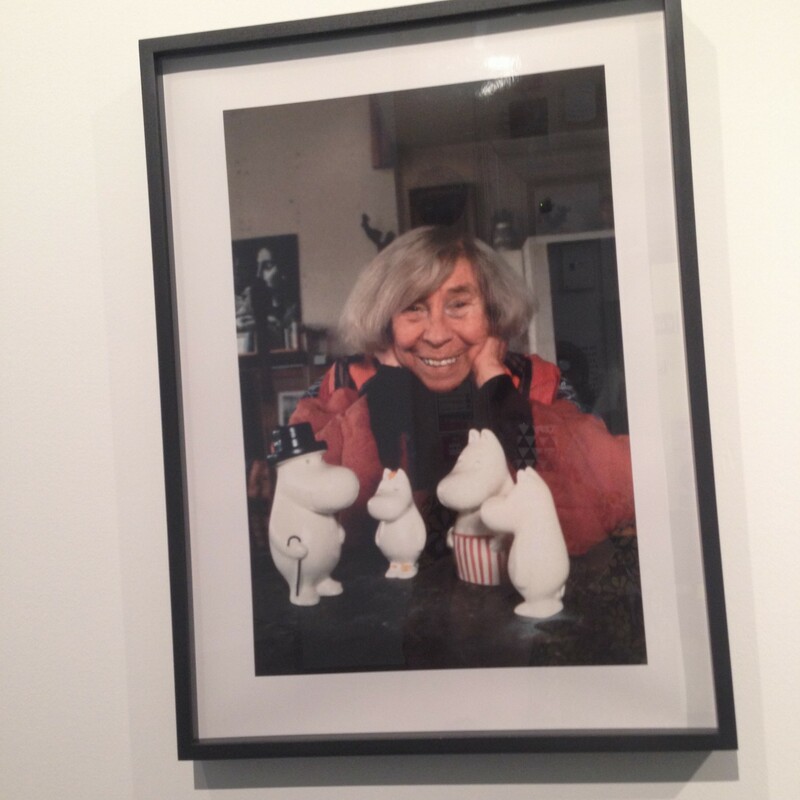 On the walls were several photographs of Tove Jansson throughout her life in the studio and on the archipelago, in the centre of the room were a number of display cases containing books. Having previously read the Sculptors Daughter and knowing more about her life I suppose I felt a bit underwhelmed by what was on show. I thought at first it was just in one room but as we walked out of it there was another space which contained books by other children’s authors and some more Moomins books which led to an area with a large wall for visitors to draw their own versions of the Moomins characters on in pencil. 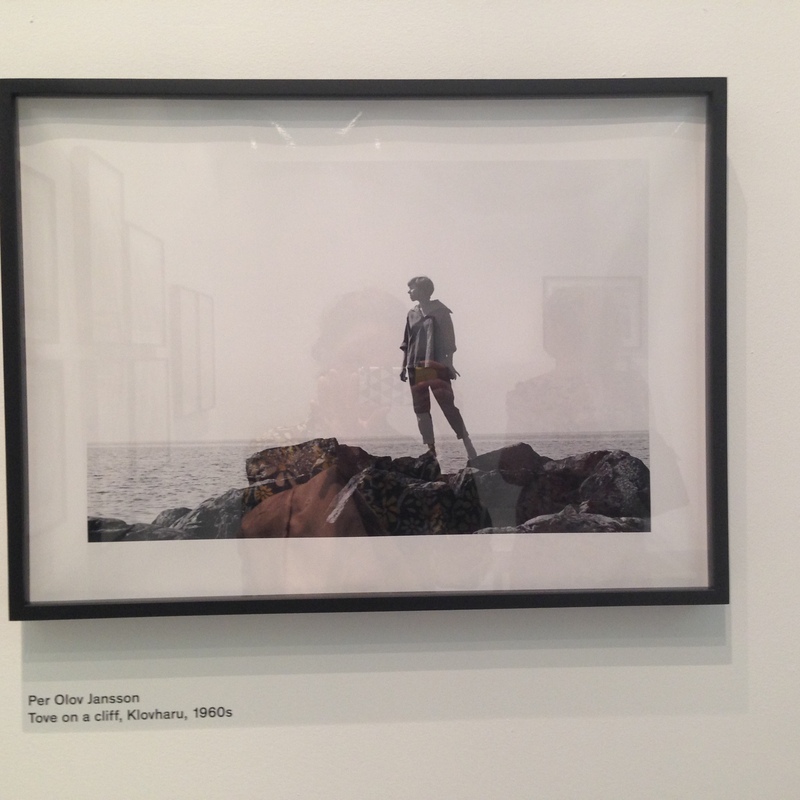 I didn’t see the exhibition when it was previously at ICA so I can’t comment whether the content varied. I supposed as a Tove Jansson exhibition that was focusing on her life in the studio and on her island I wasn’t expecting to see a complete life story but I would’ve perhaps liked to have seen footage of her in the studio talking about her work or home movies of her life on Klovharu island for example as the exhibition seemed a bit disjointed to me. 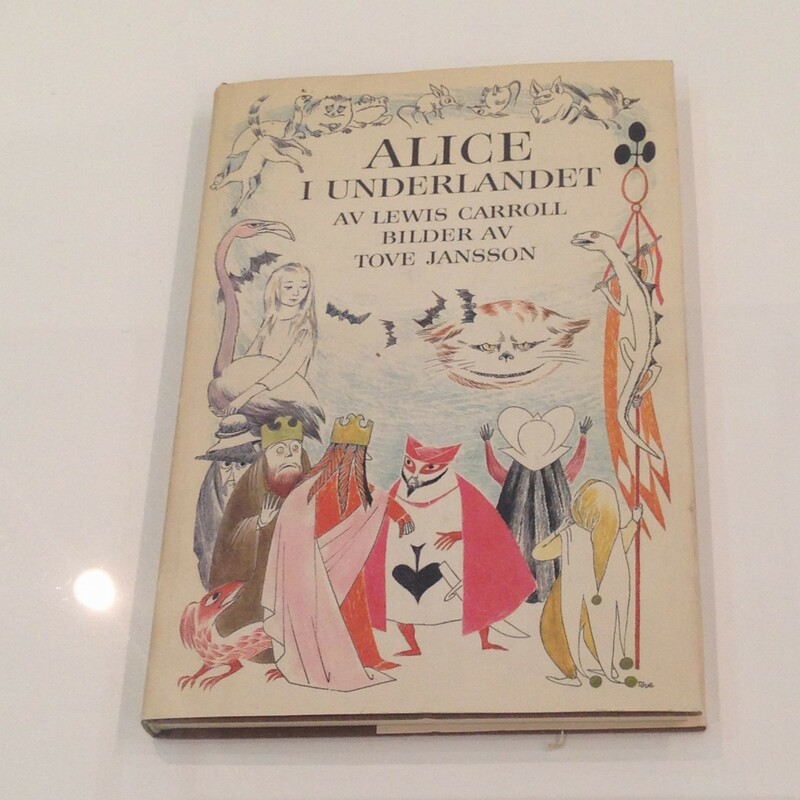 It had been billed as a Moomins exhibition but for me that would’ve involved visitors being told how they came about, who the characters were based on, perhaps early sketches of them to compare with their modern counterparts and maybe some archive footage of the TV show. 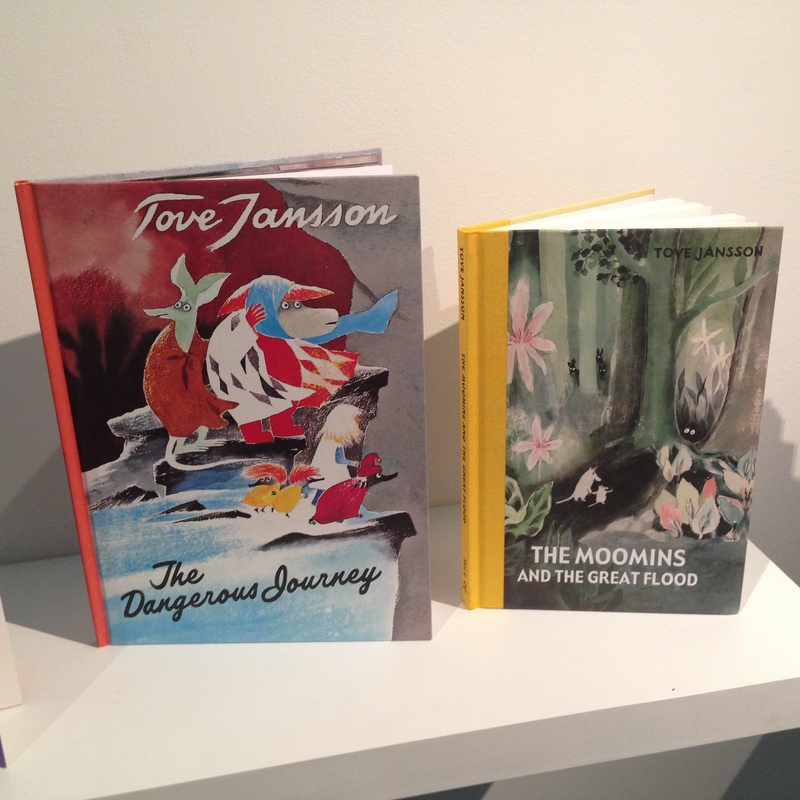 As it was titled Tove Jansson: Tales from the Nordic Archipelago the space that had been used to show Moomins books alongside other kids books might’ve been better utilised to show some of her other work so that people could see she wasn’t just responsible for the Moomins. As we were leaving we were browsing in the tiny shop area, I was disappointed that amongst the books on local history there wasn’t any exhibition catalogues or merchandise. I wasn’t expecting anything like the Moomin shop in Covent Garden but a guide or a postcard would’ve been nice to take home as a souvenir. It was at this point that a member of staff popped out of an adjoining room and advised us that actually the Museum & Art Gallery was closed for an adult class that was taking part and the front door should’ve been locked! I dare say had we visited during the correct opening hours we would’ve been able to find out more information from the members of staff. Hi! Glad you like the colours, it is a WordPress theme called Truly Minimal that I have added a few widgets and things to.